ICD was recently invited to present at the APAC Security Summit of a multinational technology company, one of the largest companies in the world. Ricky Du, our Director of Strategic Accounts and Services, led a seminar on security technology trends where he shared knowledge about the changing significance and application of security data today and in the future. 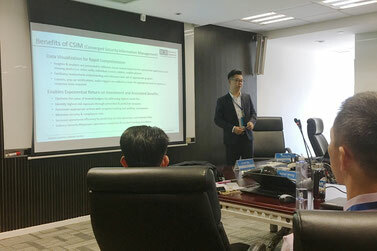 In addition to sharing industry insights, Ricky also introduced ICD’s core business and our Premium Service offerings, demonstrating how we can help corporations further integrate security into their business operations. Click here to find out more about our Premium Services and how they could help your company. If you are interested in attending one of our future industry events, get in touch with us at marketing@icdsecurity.com.